How Can a Prosthodontist in Estero Help Me? If you have a broken, missing, or decayed tooth, don’t panic. Many people will need a little help getting their smiles back on track every now and then over the course of a lifetime. When you require something beyond a basic checkup and cleaning or routine filling, it’s possible that a specialist can better provide the high-quality dental care you need. A prosthodontist is one example — this type of dentist specializes in the restoration of severely damaged or missing teeth. Keep reading to learn about the prosthodontist Estero trusts, Dr. Randold Binns at Pelican Landing Dental. Prosthodontics is one of the specialties recognized by the American Dental Association. This field of dentistry deals with teeth that are missing or deficient due to injury, disease, or any other factor. The short of it is — if you have an incomplete smile or have severely damaged teeth, a prosthodontist can probably help you love your smile once again. When you visit a prosthodontist, you can feel confident knowing you and your smile are receiving the very best, most informed care. Prosthodontists have benefitted from substantial post-graduate training and must regularly complete continuing education courses to keep up with the latest advances in technology and other changes in the field. And, because they often specialize in certain restorative procedures, visiting a prosthodontist also helps you receive the most experienced and practiced care as well. A general dentist may be qualified to place dental implants or complete a complex crown or bridge, but they often do so less frequently than a prosthodontist who specializes in these restorative procedures. When it comes time for complex restorative treatments, seeking help from a specialist is the best route for many patients. If you have serious issues that are taking away from the health and/or beauty of your smile, we recommend scheduling a consultation with a prosthodontist like Dr. Binns — especially if you have a more complex case due to your overall health or other concerns. Visiting a prosthodontist is the best way to ensure that you receive the most expert care, no matter what afflicts your smile! Dr. Randold Binns is a prosthodontist and general dentist in Estero with significant experience in the restoration of smiles. He completed an Advanced Prosthodontics Residency at the University of Illinois at Chicago in 2017, and he looks forward to discussing how he can repair your smile with expert care! To learn more about prosthodontics or to schedule an appointment with Dr. Binns, you are invited to contact the office at 239-948-2111. 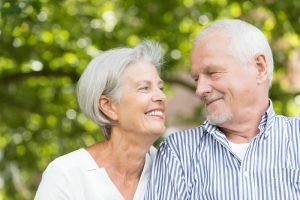 Comments Off on How Can a Prosthodontist in Estero Help Me?